If you have any questions regarding parent rights, please contact us for a FREE PARENT RIGHTS CONSULTATION. Parental rights are neither absolute nor unlimited. Parental Rights are non-absolute in the sense that they may be overridden by other considerations. For example, a parent’s right to determine the education of his or her children may be overridden by the need to provide children with accurate information with which to make responsible choices of their own. Parental rights are limited in the sense that a full and accurate statement of them would contain limiting clauses. Thus, the parent has no right, not merely an overridden right, to discipline a child by physical torture. · the right to information necessary to exercise the above rights responsibly. Parental Rights are Fiduciary Rights. Parents have the legal right to make certain decisions concerning their minor children in the best interests of the children. 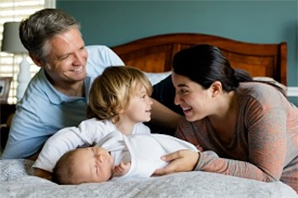 This feature of parental rights explains some of the limitations of the rights, and may also shed light on why and under what conditions these rights might be overridden. Furthermore, the fact that the parent is a trustee means that, even when the parent is acting within the scope of his or her rights and in a situation in which these rights are not overridden, the parents’ choices are to be guided by considerations of the best interests of the children. If you have a question regarding parent rights law, or need an parent rights law attorney, please contact us for a FREE PARENT RIGHTS CONSULTATION.